Vitamin D is a fat-soluble vitamin present in a few animal-based foods. The human body produces vitamin D endogenously when the sun's ultraviolet rays strike the skin to trigger Vitamin D synthesis. Largely known as the bone vitamin, Vitamin D studies reveal that it plays a major role in the life cycle of human cells. It is one of the many nutrients that our bodies need for normal growth and development as every cell type has receptors for vitamin D.
These receptors in turn define Vitamin D as a hormone. Hence, doctors recommend reaching 50 ng/ml of vitamin D in the blood to achieve an optimal vitamin D status. A minimum of 30 ng/ml of vitamin D in the blood is needed to ensure a sufficient level which is equivalent to 2000 IU/day. In a press briefing conducted by Biobalance, Dr. Stan Chua (Functional Medicine and Health Optimization Medicine consultant), tolds us that majority of his patients often tested positive for vitamin D deficiency. I was surprised to know that Vitamin D deficiency is a global epidemic. Unless your body is at its optimal level, Vitamin D deficiency leads to a host of progressive disorders such as Alzheimer's disease, diabetes, cardiovascular disease, weak bones, autoimmune, neurological and others. chronic illnesses. Vitamin D deficiency is associated with a long list of diseases that span all systems in the body. The only way to test for vitamin D deficiency is through blood testing. 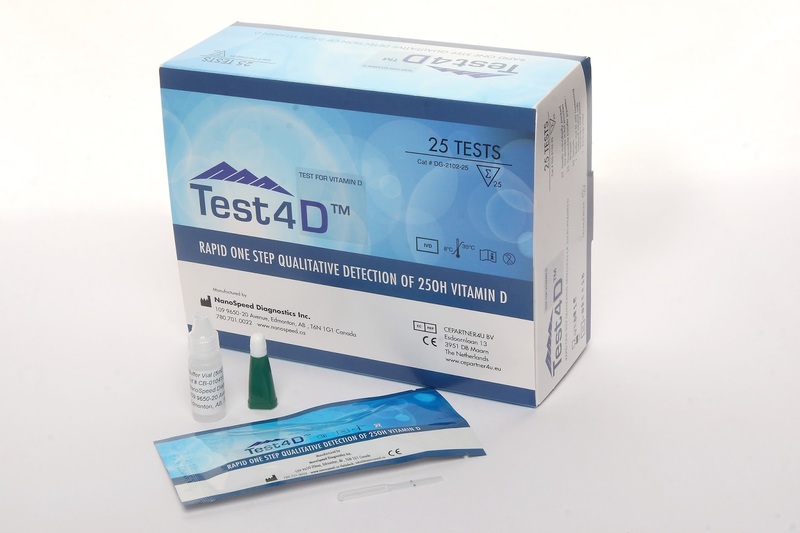 Biobalance offers an affordable point-of-care testing kit called Test4D, which determines if one has low levels of vitamin D.
All it takes a a prick in the finger. I had the privilege to try out Test4D at biobalance. After i had my finger pricked, they added a few drops of my blood on the kit and let it settle for up to 10 minutes. 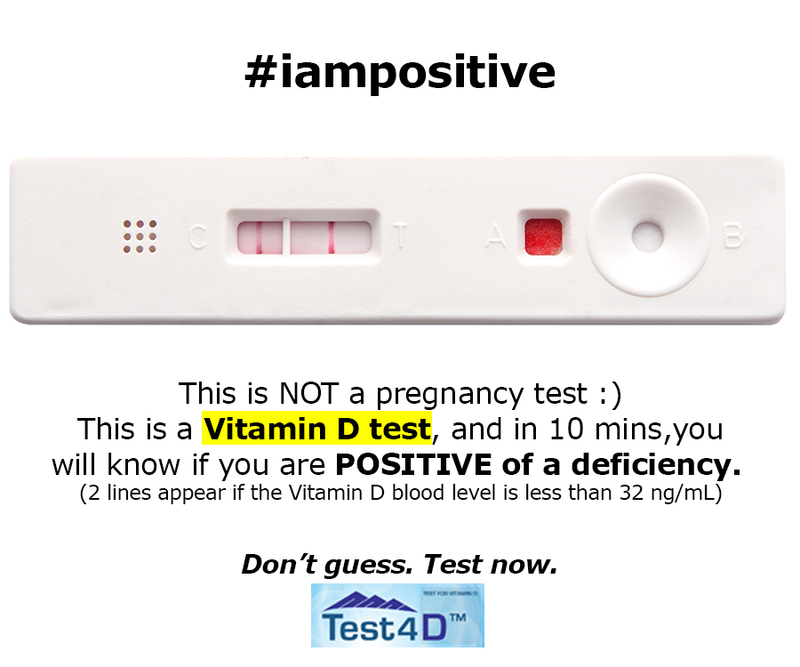 Just like a frog test kit, two lines reveals positivity for vitamin D deficiency in 10 minutes. Test4D is priced at P1,100 with its test accuracy gauged at 97%. 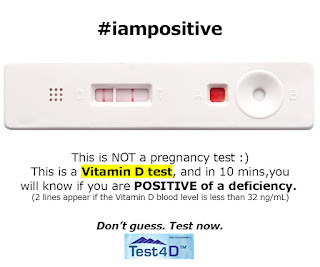 I was not surprised to find out that my vitamin D levels are insufficient. I shy away from the sun and often slab on sunscreen extensively at times when I do go out. It explains why I often suffer from bone pain and muscle waekness. I was not aware that these were subtle symptoms of vitamin D deficiency. Season, time of the day, sunscreen and skin melanin content affect the UV radiation exposure and vitamin D synthesis. The sun provides free dose of vitamin D that provides unlimited opportunities to form vitamin D.
Some vitamin D researches suggest that individuals take a mere 5-20 minutes sun exposure between 10AM and 3PM to the face, arms, legs or back wihout sunscreen twice a week to get sufficient vitamin D synthesis. Those with limited sun exposure need to include good sources of vitamin D in their diet or take supplements to achieve recommended levels. Medical studies show the importance of maintaining adequate Vitamin D levels in our bodies. While our bodies make some vitamin D, most of us do not have enough to keep the body tissues operating at peak capacity. This being the case, each one requires additional amounts from existing diet, sun or supplement to guarantee adequate levels. Vitamin D comes in two forms: ergocalciferol (D2) and cholecalciferol (D3) in dietary supplement and vitamin D-fortified foods. Supplementation with vitamin D3 has been shown to be an effective deterrent in the prevalence of diseases. And Biobalance offers a wide variety to optimize your health. Among these are Vitamin D3 5000 IU dietary supplements. Talk to your healthcare provider now and get yourself tested. We all should make efforts to get sufficient vitamin D levels daily to ensure good health.